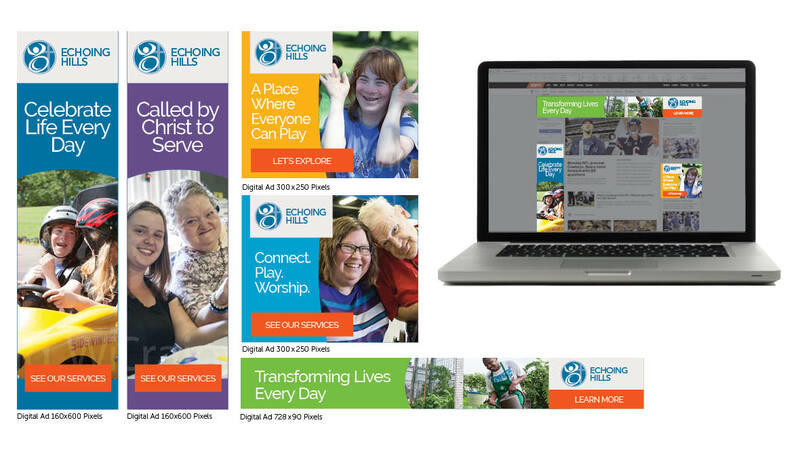 When Cordell Brown created Echoing Hills 50 years ago, his vision was to revolutionize lives spiritually, physically and emotionally by creating opportunities for individuals with disabilities to know and experience Jesus Christ. Since then, the organization has grown to touch thousands of lives throughout Ohio, providing individuals with special needs a joyful place to live, connect, learn, and play. 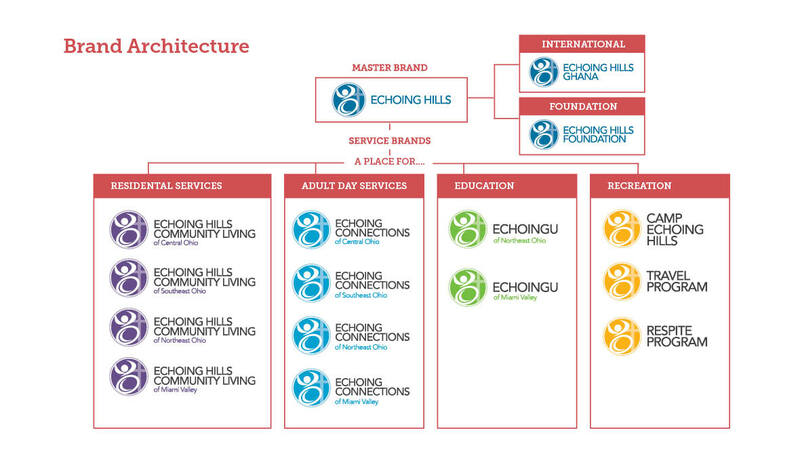 As the organization has grown over the years, there has become a greater need for a more consistent brand architecture to help create consistent messaging among the different programs and generate greater awareness of the depth of services offered by Echoing Hills. With this in mind, Echoing Hills has recently partnered with Origo to revamp their brand and web strategy to better reflect the organization’s story and create a more cohesive brand identity. 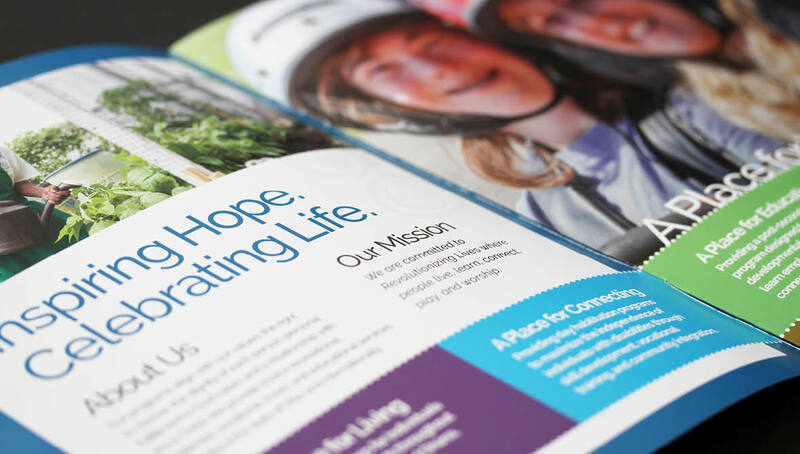 A comprehensive brand audit, exploring the competitive landscape of other organizations that provide residential and recreational options for individuals with special needs. A survey of staff and leadership, as well as external partners and families, identifying key insights about the perceptions of our brand, as well as the strengths, weaknesses, and opportunities of the organization’s communication strategies. Creative exploration to help identify potential visual and messaging directions, identifying key messaging and design strategies to promote their programs, locations, and competitive advantages. Origo utilized the insights gained from the research phase to develop a more energetic and vibrant look and feel for the new brand. In the new strategy, we took a more modern approach to the iconic cross figure (used in the previous logo) by adding more simplified and sleek design elements to the logo mark. By doing so we pay homage to the organization’s strong heritage, while also highlighting its ability to adapt to the growing needs of the community. 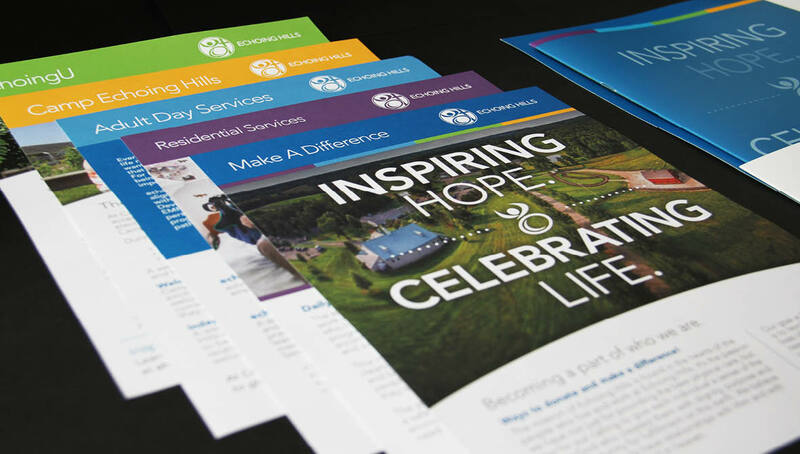 In addition, we developed the tagline “Inspiring Hope. Celebrating Life” to further show how Echoing Hills creates a fun and inspiring place for individuals with specials needs to live, connect, learn, and play. 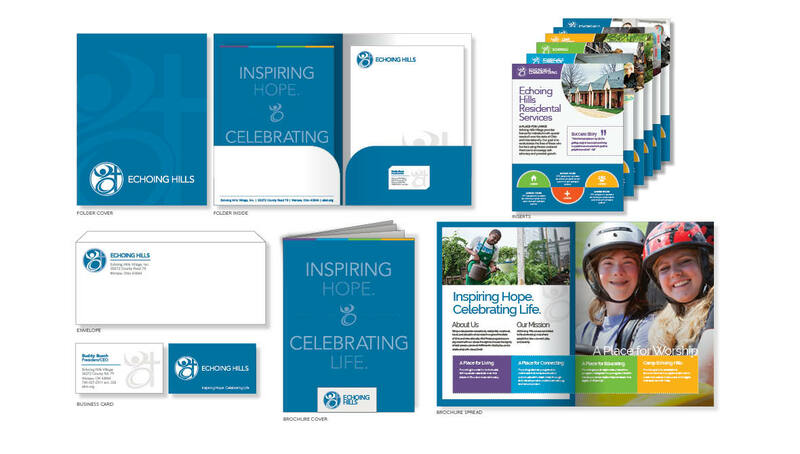 As part of the new brand strategy we also developed a more solidified brand architecture to help communicate and promote Echoing Hills’ different services, programs, and locations as well as the levels of disabilities they serve. We feel that this will provide a great way to introduce the public to the range of Residential, Educational, and Recreational services that Echoing Hills offers. 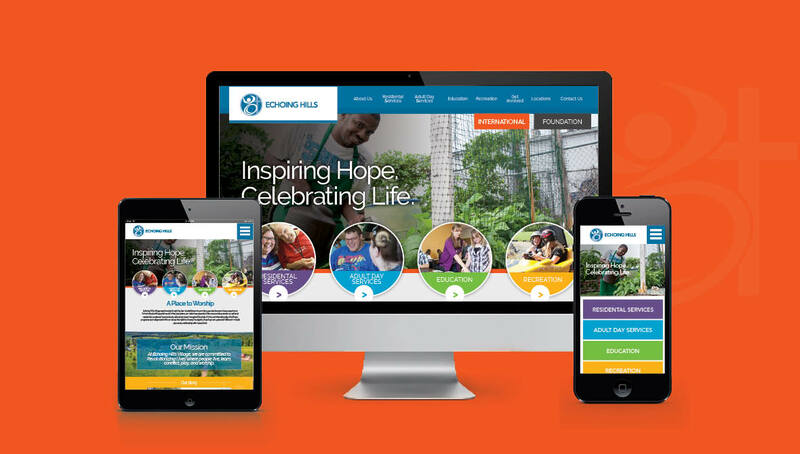 A mobile- and SEO-optimized website that features a fun, colorful design, simplified navigation, and detailed information about Echoing Hills’ offerings. 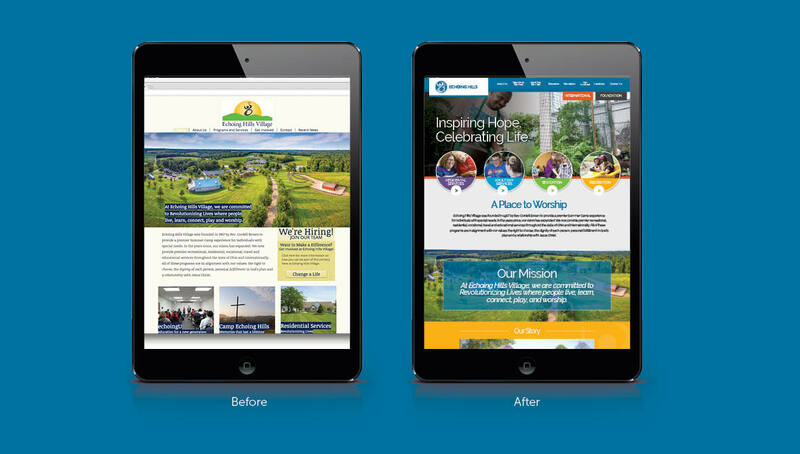 Digital templates, including social media posts and digital ads, to promote Echoing Hills to families and partners through engaging content, campaigns, and graphics. A mission video and a series of vignettes that capture real-life stories of individuals with special needs and their families as well as staff members across Ohio who were directly impacted by the programs of Echoing Hills. 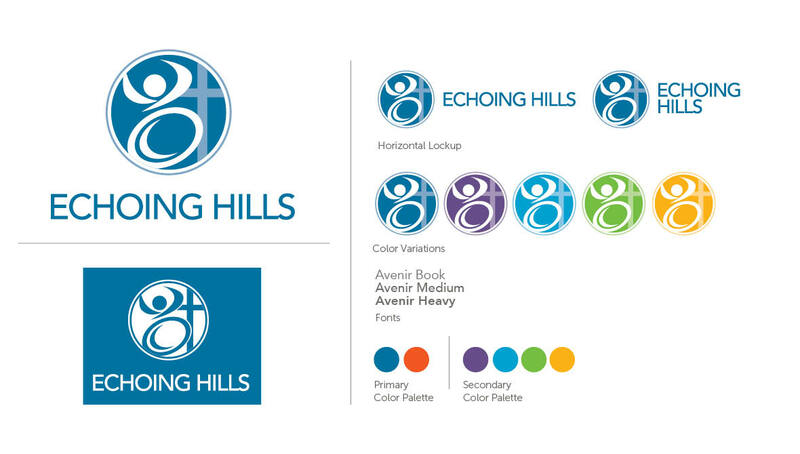 An e-blast/newsletter, providing an overview of the rebrand strategy and what it means for the future of Echoing Hills. 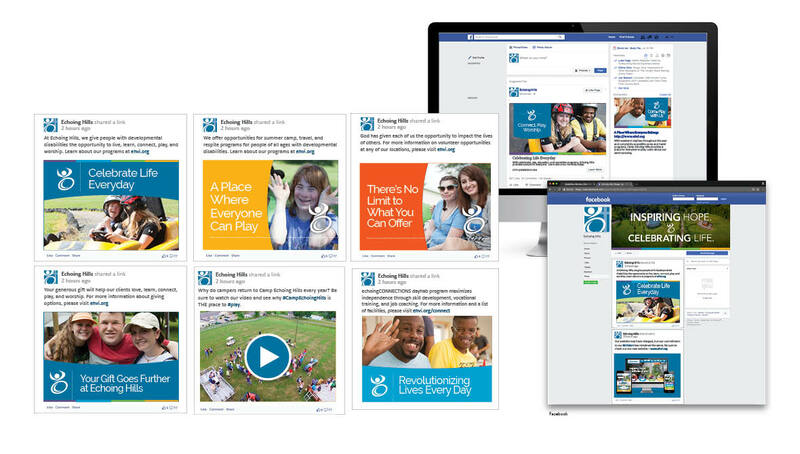 Social media templates and pre-generated posts, creating a cohesive social media presence. Digital advertising to widen audience engagement and drive key stakeholders to the website. PowerPoint templates to support the many presentations Echoing Hills conducts. This past Sunday, Origo was proud to help celebrate the launch of the new brand at Echoing Hills’ 50th Anniversary Celebration event at their Coshocton location. With over 300 family and friends in attendance, including the Governor’s office, the event was a huge success, generating great support for the organization. Origo is proud to be a part of such an inspiring organization that makes such a difference in the lives of those they serve, and looks forward to helping Echoing Hills create another 50 years of impact and joy for individuals with special needs.